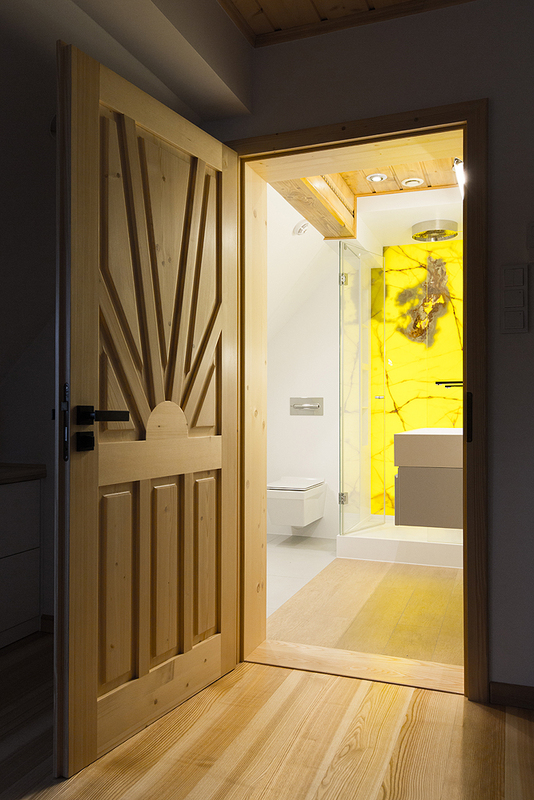 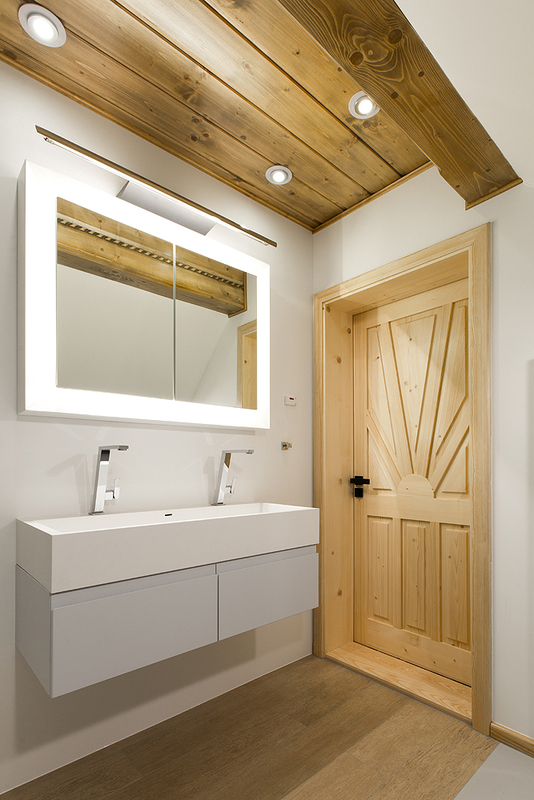 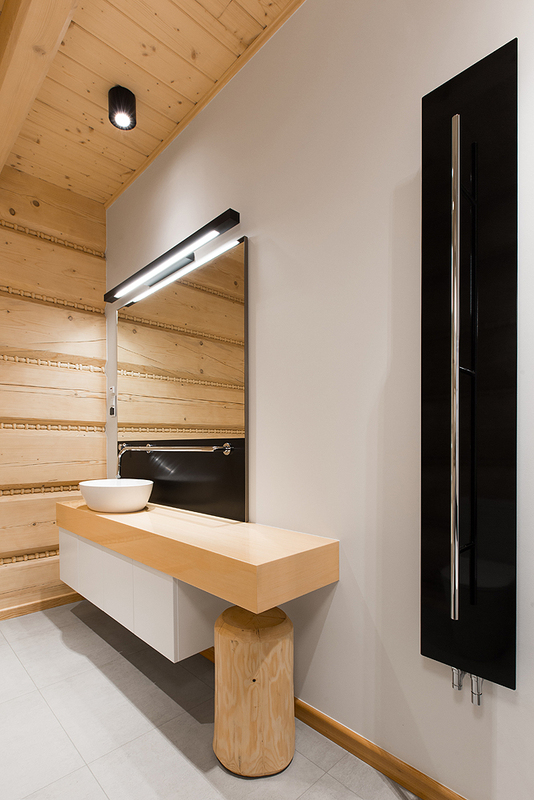 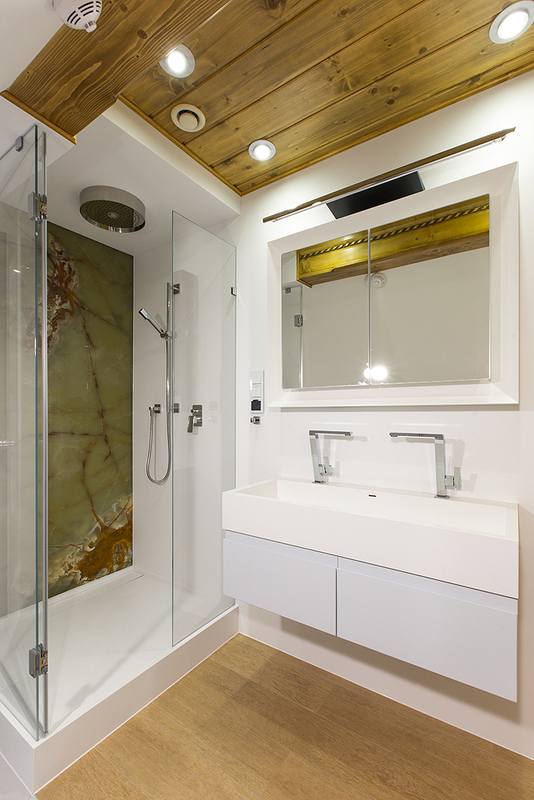 Found within a beautiful highlander residence, these three relatively small bathrooms were designed to primarily introduce a sense of spaciousness. 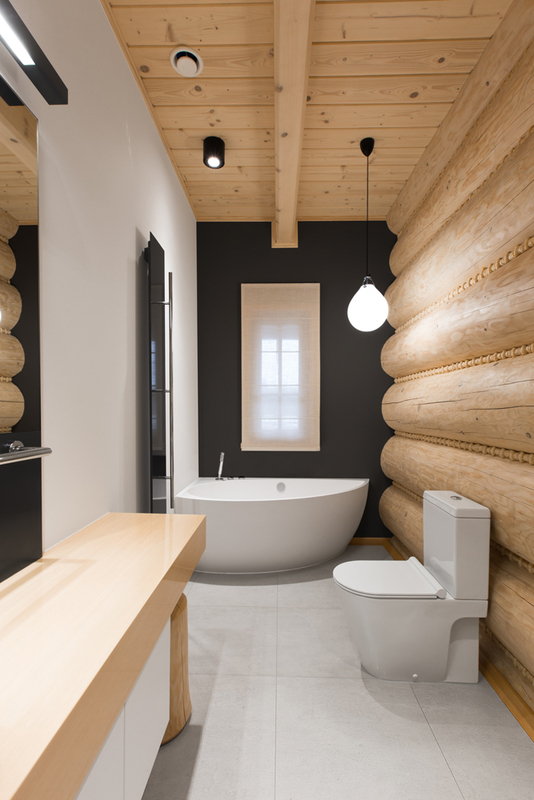 A light colour palette of white and grey was applied to calmly go with the pine structure, while accented with small contrasting colour elements. 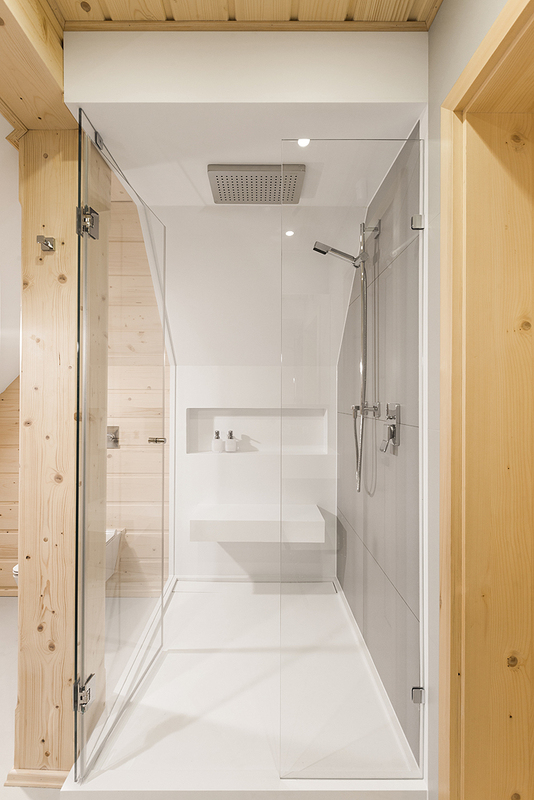 In order to really accentuate a sense of space, large, uninterrupted surface planes were used, while reducing any unnecessary lines. 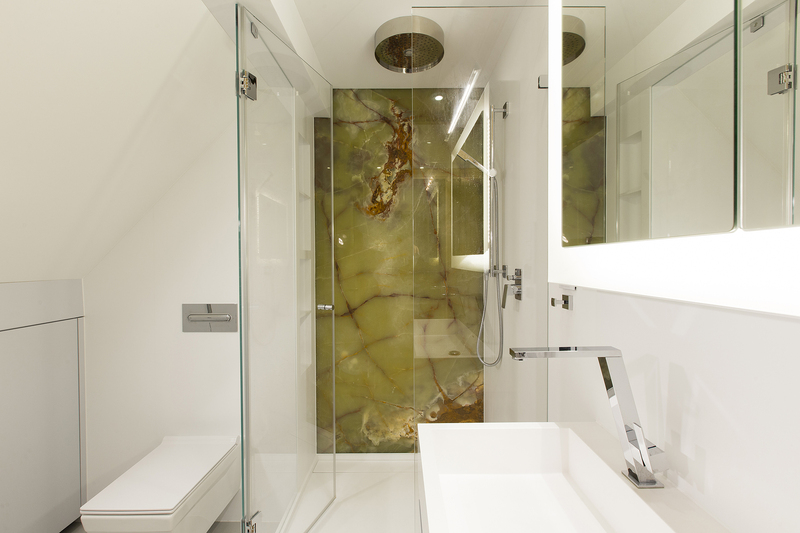 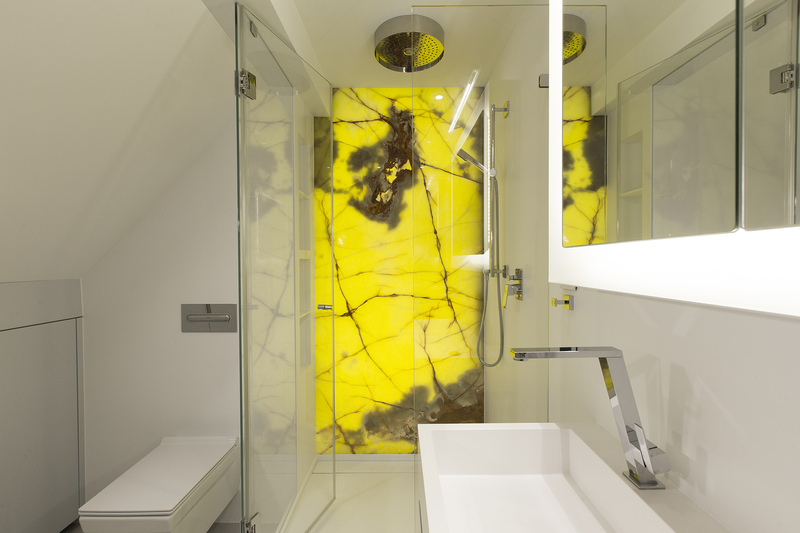 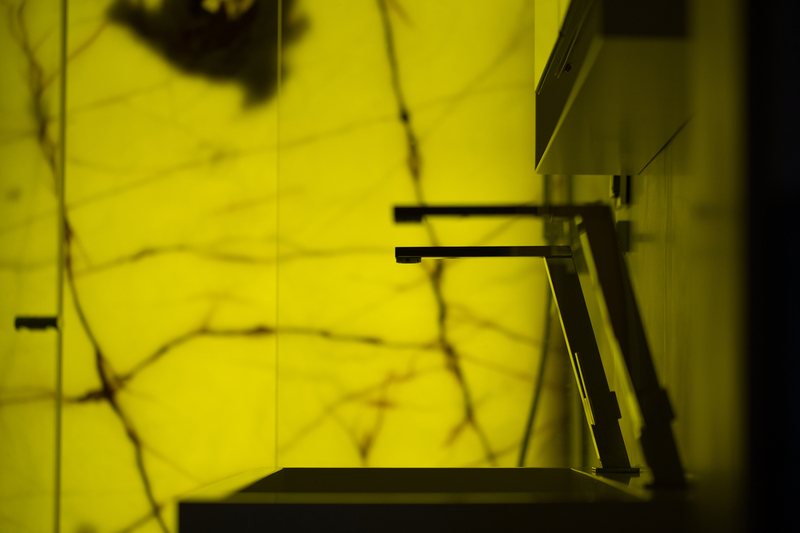 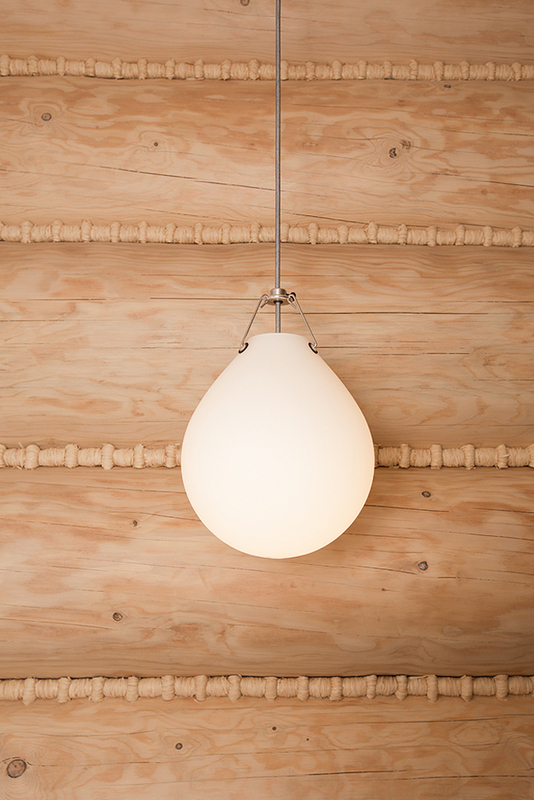 Large slabs of solid surface material, large tiles, and leaving full walls whole, were used to accomplish this effect. 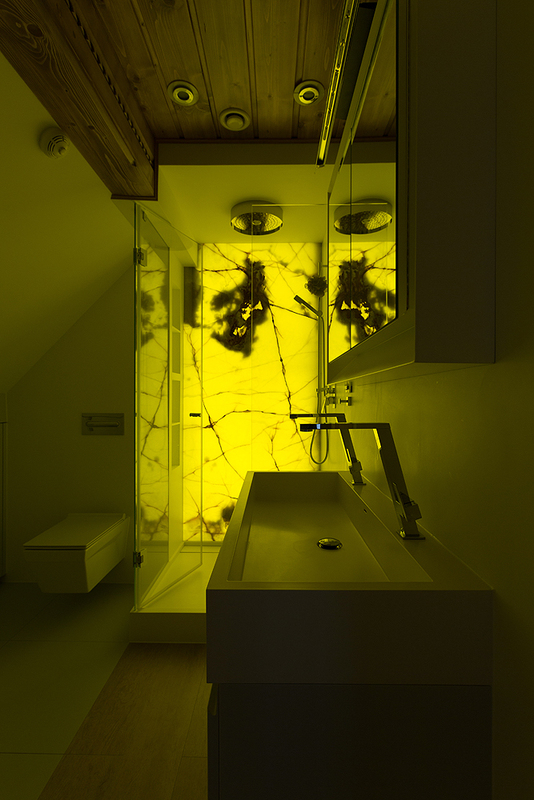 The two upper floor private bathrooms with pitched ceilings posed an extremely challenging design dilemma. 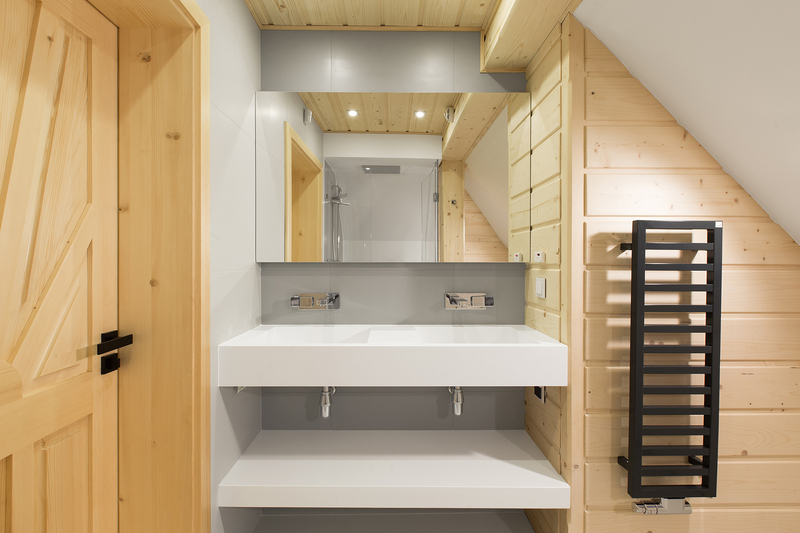 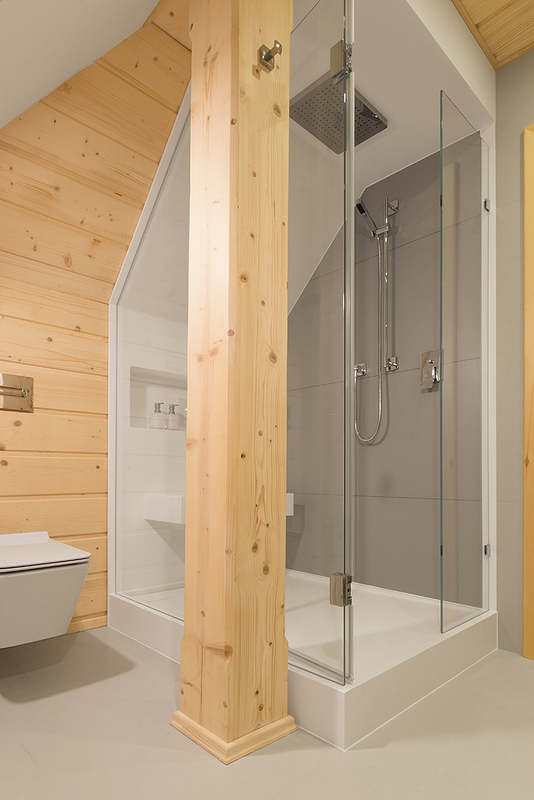 In order to create inconspicuous storage space, without taking up the limited volume, strategic construction solutions were used to create ample room for typical bathroom accessories. 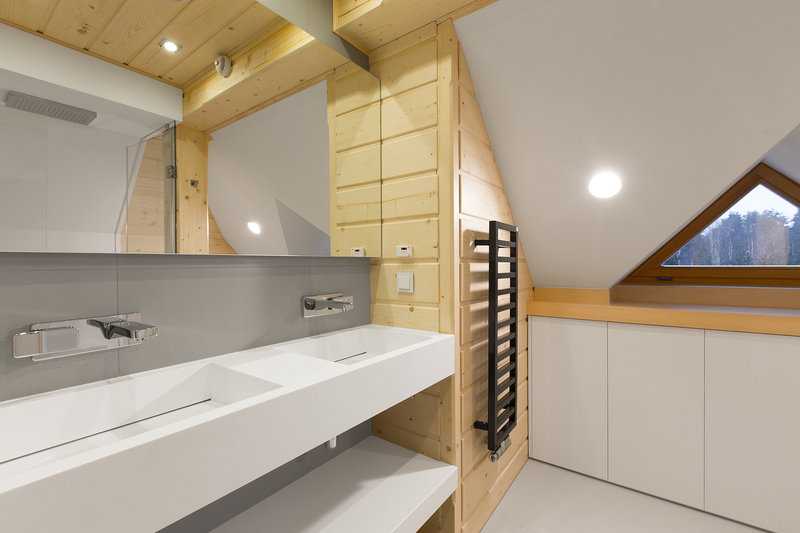 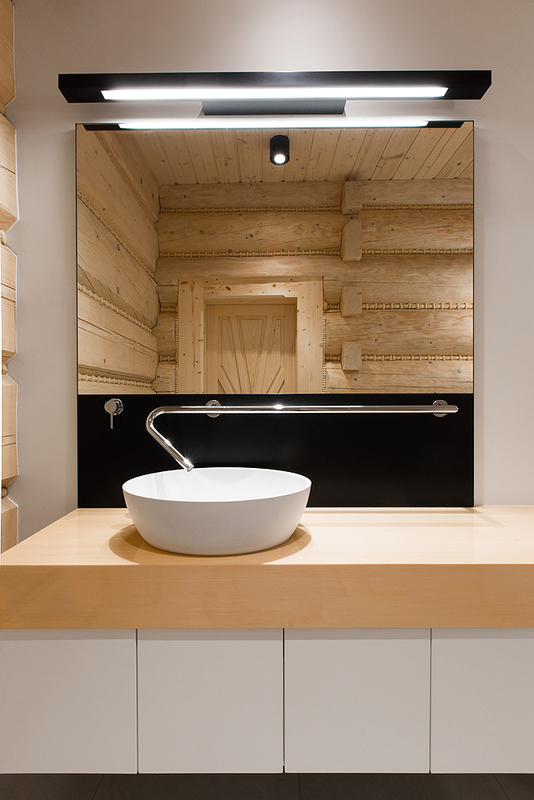 Although these bathing spaces are small, they can be comfortably used on a daily basis.